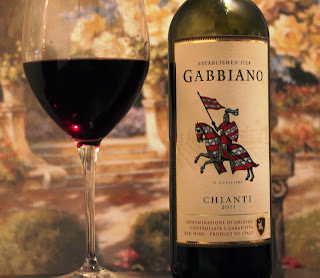 Castello di Gabbiano’s Chianti 2011 can be described as a medium bodied tannin wine, a touch on the dry side, and lots of cherry flavor. There is a little taste of earthiness but it mixes well. It is an Italian red that is popular with pizza, beans and pasta. The wine is focused on the casual drinker and prices for under $10 per bottle. The value is inherent in the quality. According to Wine Searcher it is the 2837th popular wine. It is ranked at 80 out of 100 in quality. Most websites have ranked the wine 4 out of 5 stars. Furthermore, Chianti is made of Sangiovese grapes which creates a very dark wine and is commonly used in wines made in Tuscany. It is considered an older variety grape with popular appeal both in Italy and other places of the world. The vineyards are created around the Castello di Gabbiano estates which hosts a 12th century castle and grounds. It is possible to visit and stay within the Castile. Wine tasting, dining, rooms, and tours appear to be the attraction. You can look at the pictures on their website and notice the pristine history that seems to exist there. It might be a nice place to spend a few days relaxing.